A couple of years ago my boys went to their first NUFC family fun day. They loved it and this year have kept on asking if there will be another they can go to. 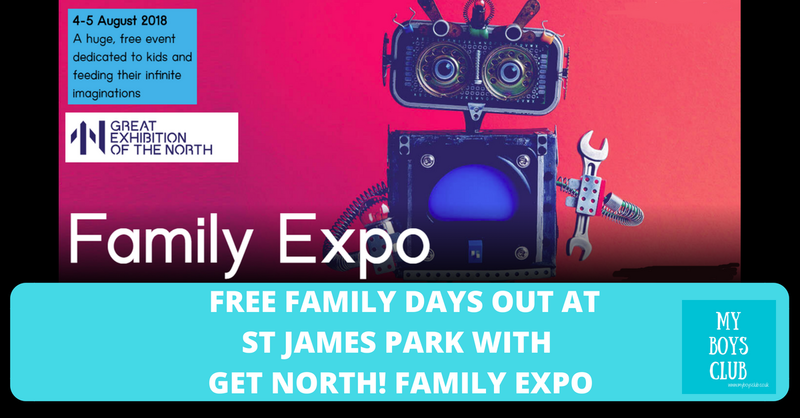 I’m very pleased to be able to tell them that yes there is, But not only that there is a full family expo event too AND a Newcastle United pre-season friendly as well. My eldest really enjoyed his first NUFC match earlier this year and as a family, we loved the World Cup, so I’m really looking forward to seeing what is on offer this weekend. Free and easy! No booking is necessary for this two-day extravaganza – just drop in and get stuck in. 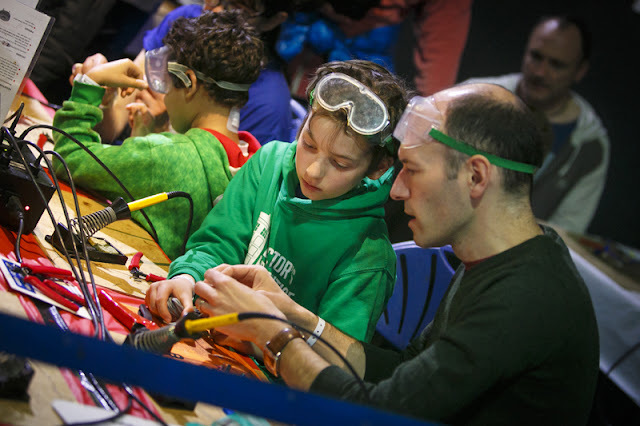 A huge gathering of artists, scientists, engineers, makers, inventors and designers will gather in Newcastle United’s Bamburgh Suite with 60 hands-on activities for families to make, do and explore. 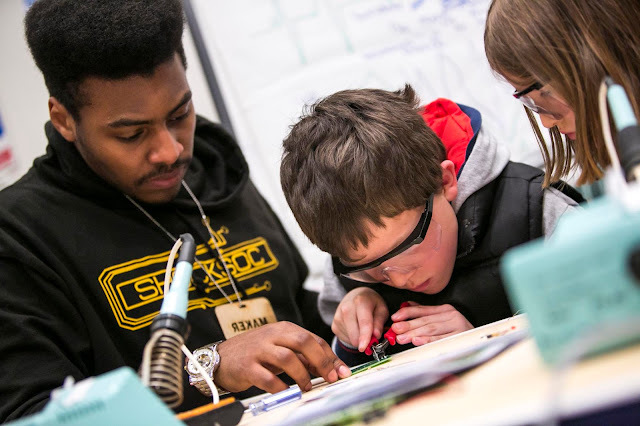 Think gadget factories, gaming, comic book making, crafting, coding and 3D printing and you’re on the right lines. There’ll be workshops dedicated to making music and art, upcycling junk, creating robots and all kinds of other fun stuff. Be sure to check into the inflatable planetarium and a museum of the future too. The fun doesn’t end there. Spilling out onto Strawberry Place, there’ll also be inflatable football and other favourite activities from the popular annual NUFC Family Fun Day. Take the Family Expo challenge and see how many experiences you can tick off. What is the Family Expo? Family Expo is a huge, free event dedicated to capturing imaginations and engaging with children and their families over the summer holidays. From coding to comic book making, a museum of the future and even a spot of football. It is a huge, free event dedicated to kids and feeding their infinite imaginations. A mash-up of interactive activities, it will raise eyebrows, open minds and expand horizons. When is the Family Expo? It takes place between Saturday 4 – Thursday 9 August 2018. Stretching over six action-packed days from 10:00 – 16:00, the event kicks off with a weekend of drop-in fun on Saturday 4 and Sunday 5 August, followed by four days of ticketed workshops from Monday 6 to Thursday 9 August. What age group is Family Expo aimed at? Where is the Family Expo? What will I find at the Family Expo? No tickets are required for the Family Expo Weekend and families are encouraged to come down from 10am. In addition to the Family Expo Weekend activity, on Saturday 4th August, there will be inflatable activities situated on Strawberry Place to coincide with Newcastle United's friendly fixture against FC Augsburg, which kicks off at 3pm. The ticketed workshops the following week allow families to immerse themselves into fun activities ranging from building and programming a driverless car using LEGO® Mindstorms and iPads or a crash course in circuity and electronics from the Touring Gadget Factory, where you can make your own flashing badge, to scribble bot and footie in the park with NUFC. 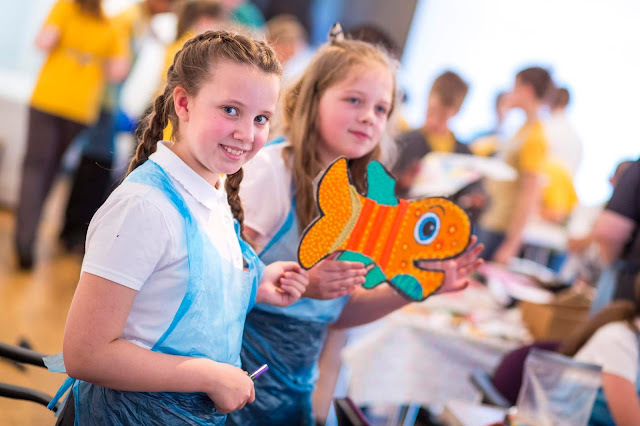 Whilst the ticketed workshops on Monday 6 – Thursday 9 August are fully booked, families are still encouraged to attend on a day of their choice as spaces may become available. Why is Get North! Family Expo happening? Great Exhibition of the North is a summer-long celebration telling the inspiring story of the North of England’s pioneering spirit. Free to attend, it’s the biggest event in England this year. Hosted in NewcastleGateshead, on behalf of the North of England, the event is showcasing amazing exhibits, displays of innovation, new artworks and magical experiences for the whole family. 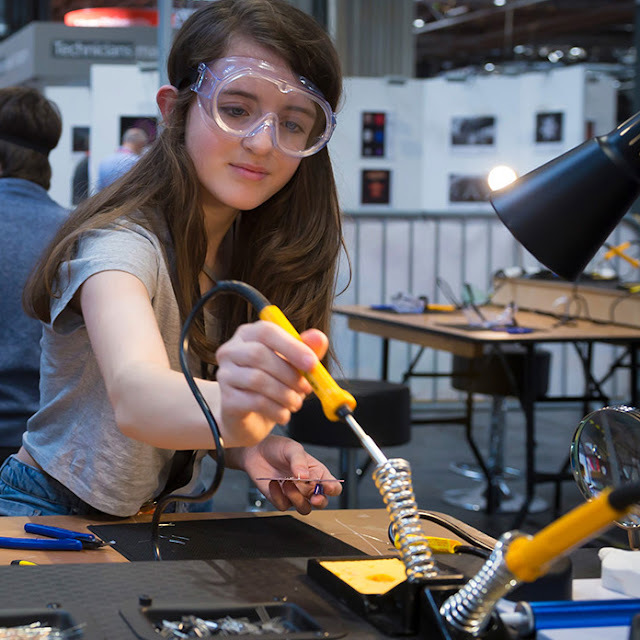 Throughout the Exhibition, which runs until 9 September 2018, millions of visitors will get to experience family-friendly activity, including a display of invention ideas from children across the North from Little Inventors North 2030; Stephenson’s Rocket brought back to life via a fully immersive and memorable virtual reality experience, The Rocket Reimagined; and the story of Northern innovation in over 40 intricate models using 50,000 Lego bricks from Steve Mayes. Disclosure: We were invited to attend a preview day ahead of the event. Information and images provided by Great Exhibition of the North.